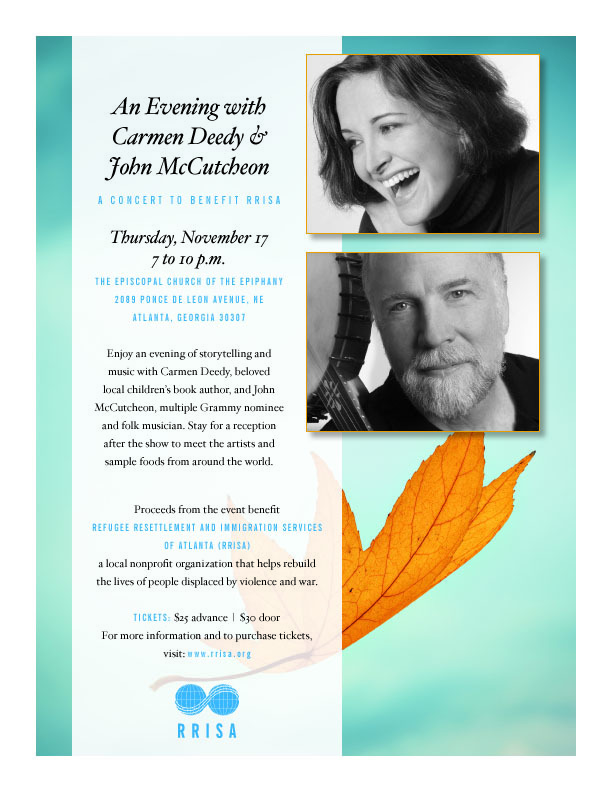 On November 17, 2011, Carmen Deedy & John McCutcheon will be performing a benefit concert for the Refugee Resettlement & Immigration Services of Atlanta (RRISA). Tickets are $25 in advance and $30 at the door. If you are in the Atlanta area, come and help support a great organization. I enjoyed the first session Friday morning at Athens Alabama. Thank you so much for sharing your gift. The story you told about your father made the whole festival worth it for me. “Skill is available for everyone, you just have to work for it”. That is brilliant!